Bored with the default look of your Google Chrome browser, why don’t you try some Google Chrome themes on your browser. You can find lots of free Google chrome themes on Chrome web store. 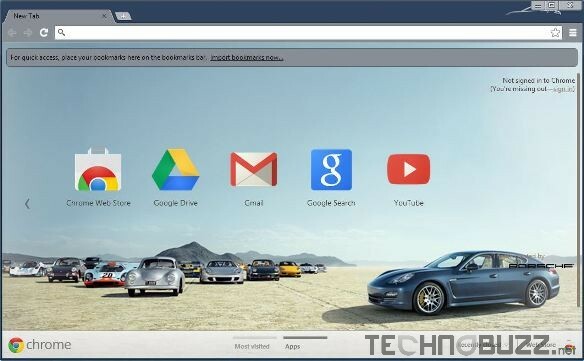 Google chrome is one of the most popular browser which gives you the lots of option to customize it. You can do this easily with the help of Google Chrome addons and also change the look of browser with installing themes. There are tons of Google Chrome themes are available in the Google Chrome web store that you can use in your browsers without paying a penny. 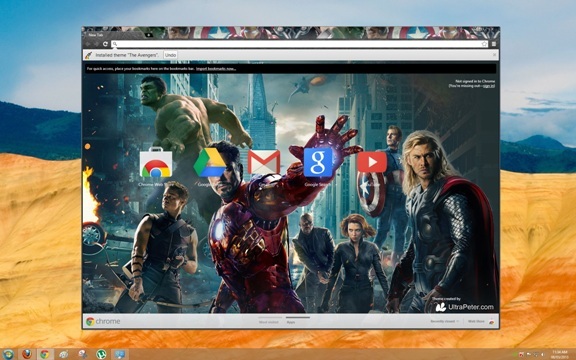 To apply all these Google Chrome theme you have to hit the “Choose Theme” Button from the Chrome web store page and the theme will be applied immediately to the skin of your browser. Personally, I am the big fan of Cars, so this one is my favorite theme, Porsche 911 is the most beautiful car in the world and so the chrome theme. I love this theme! It has a nice, gray shade, with an awesome new tab image! A very clean and nice color theme like blue sky. 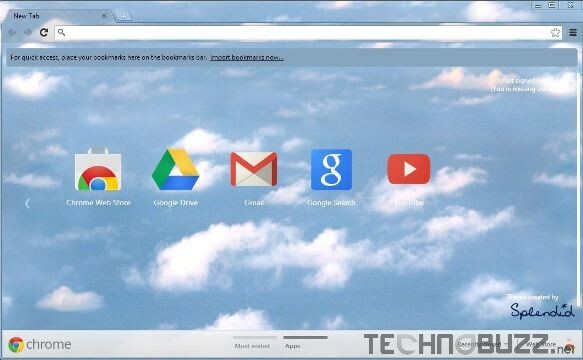 A Great Theme with the combination of white and Blue Theme.You Can Get It Easily From Chrome Web Store. 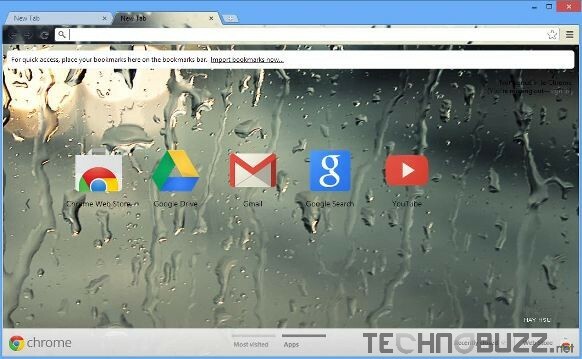 Another nice theme to change the look of chrome browser, nice theme with the nice HD raindrop wallpaper. A very cool theme for all you Assassin’s Creed III fans out there. 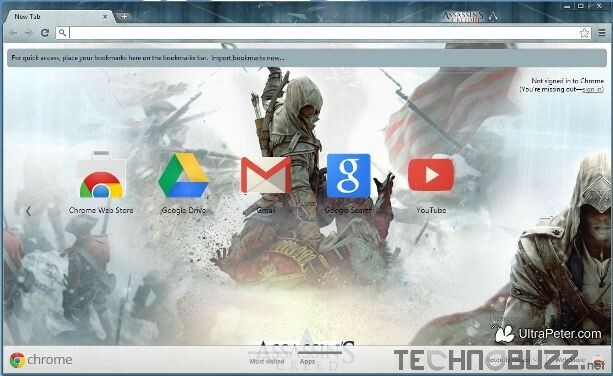 An unofficial Assassin’s Creed 3 theme for Google Chrome. 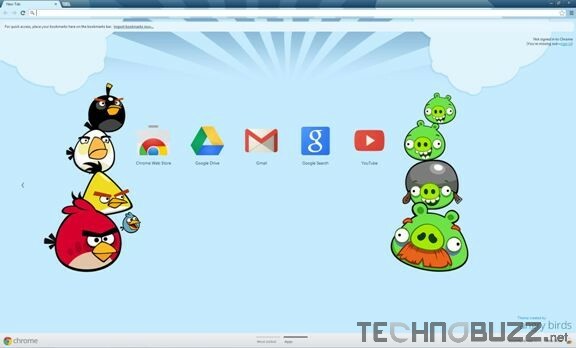 One of the great way to customize your Google chrome with an Awesome Angry Birds Theme, One Of The Best Game Ever, Download This Theme and Experience its beauty.